PAYPER’s participation in the PPMA show 2018 in Birmingham was a great success. During the three days of the exhibition with intense activity, we were happy to receive visits from many of our well-known clients and friends who visited us to discuss their new projects and expansions. Moreover we were proud to present our newest solutions to all the guests who passed by our booth. The visitors showed a lot of interest in our different product lines and we were pleased to see that the British market for Bagging and Palletizer solutions is very much alive and apparently, the “Brexit” be without much influence. 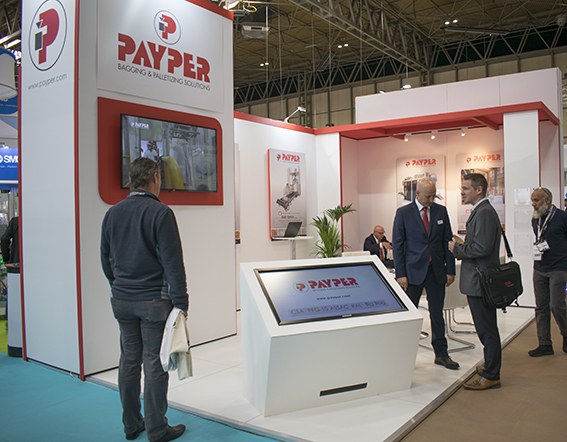 PAYPER will be at the PPMA show again in 2019 – we look forward to seeing you there!